^ a b Roderick D.M. Page; Edward C. Holmes (14 July 2009). 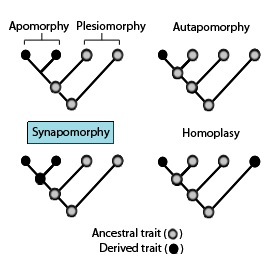 Molecular Evolution: A Phylogenetic Approach. John Wiley & Sons. ISBN 978-1-4443-1336-9. https://books.google.com/books?id=p2lWhjuK8m8C. ^ Concise Encyclopedia Biology. Tubingen, DEU: Walter de Gruyter. (1996). p. 366. オリジナルの2008年8月28日時点によるアーカイブ。. https://web.archive.org/web/20080828192820/http://www.ebrary.com/ 2015年5月7日閲覧。. ^ Barton, Nicholas; Briggs, Derek; Eisen, Jonathan; Goldstein, David; Patel, Nipam (2007). “Phylogenetic Reconstruction”. Evolution. Cold Spring Harbor Laboratory Press. http://www.evolution-textbook.org/content/free/contents/ch27.html.